Hotels that have our back! We have had some issues with overbooking at a few of our Council hotels listed on the Hotel page. I do not anticipate any issues upon your arrival and check-in for your reserved rooms. However, the McAllen Visitor’s Bureau has connected us with several “standby” hotels if any issues arise. All hotels have shuttles that are available to take you to the McAllen Convention Center. Reserve Your Banquet Table Now! It’s not too late to add your church to this list with your own $200 contribution. (Registration as closed) Click HERE to go directly to the “Council Table Reservations” contribution form. This registration will be open until 12 noon on Friday, Feb 22nd, just in case your Pages convince you that Vital University Missions in the Valley is worth your gift! 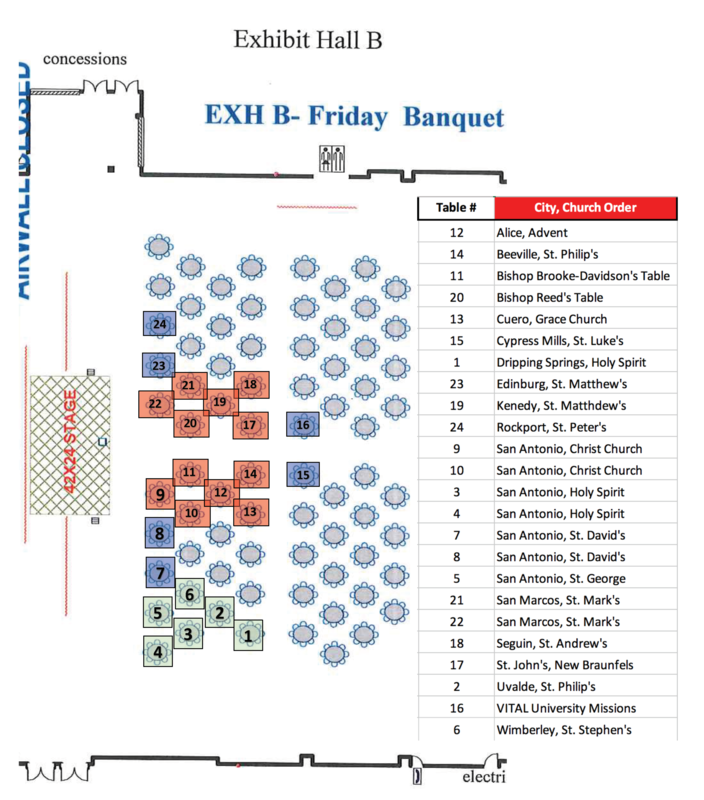 For full information on the Friday Banquet visit the Banquet Page. Registration closes today at 10:00 pm! Online registration for CHURCHES (clergy, delegates, alternates, and clergy spouses) and VISITORS closes on Monday, February 11. 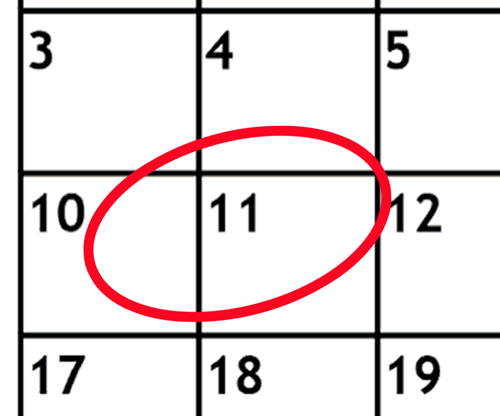 All CHILDCARE registrations also needs to be completed by Monday, February 11. This is for children ages infant through 2nd grade. No walk-ins can be accommodated. Registration for all YOUTH and SPONSORS attending Youth in Action must register by Monday, February 18. Complete your registration today, and plan to get your bags packed. Clergy, remember your pressed vestments; stole color is green. We’ll see you soon! 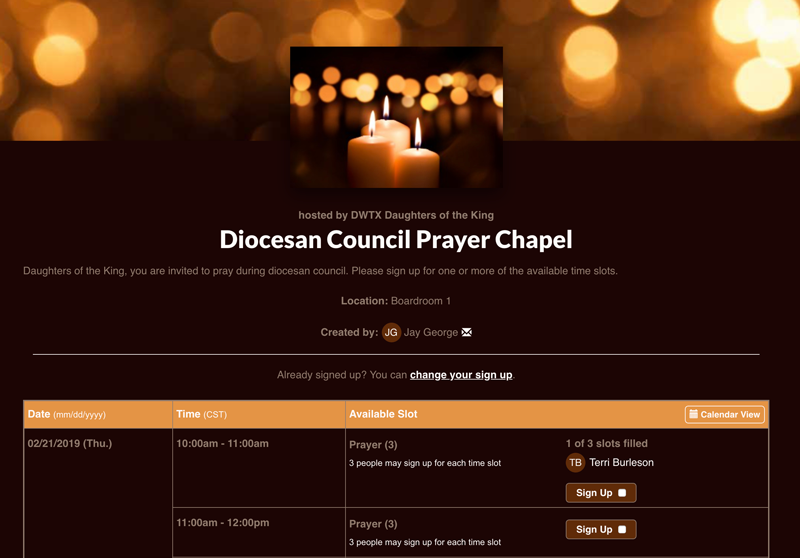 Help create an environment of continual prayer for the three days of Council by signing up for an hour or more spent in the Diocesan Council Prayer Chapel (Boardroom 1.) To make this a diocesan-wide ministry we invite all to participate with a goal of three Daughters each hour. Simply select your times through SignUpGenius at: http://gcsa.me/DoK. After you check the “Sign Up” button you will be asked to enter your first and last name, email, and mobile phone number. You can return at anytime to change your sign up or add more hours. For additional information stop by The Daughter of the King Exhibit booth #4. It’s definitely time to finalize your hotel room needs for Diocesan Council, February 22-24, in McAllen. Call your hotel directly and update your existing reservations to the correct names of people attending. Visit the Hotel page for contact information. If you cancel through the hotel, our rooms are lost. Consider giving your unneeded rooms back so that others can enjoy Walking in Love to the McAllen Convention Center. Registration is now open for all Council attendees. Look to the pages on the left under the “Signup” section for additional information. Also on the Registration page find help files and payment information. Use the Navigation bar on the right side of this website (www.Council-dwtx.org) for the many events and activities during our time gathered as a diocesan family. And Speaking of Registration – full details and links to the Youth and Sponsor registration forms are also available on the Youth in Action page. Celebrating their 10th year, Youth in Action returns with a call to serve and reach out to our community in love, as the hands and feet of Jesus Christ. This annual event beginning Friday Feb 22 and concluding with Worship at St. John’s, McAllen Sunday morning February 24, 2019. The block of 75 rooms at Embassy Suites has now been fully reserved. Our original room block for ALL eight hotels was 400. With about 125 now reserved, there are still 275 rooms available for your selection. Next up – CAMBRiA Hotel and six (6) others, equally as good! The Bishops, and speakers will be at the CAMBRiA, while diocesan staff is split between the CAMBRiA and Home2 Suites. Click for Hotels page. 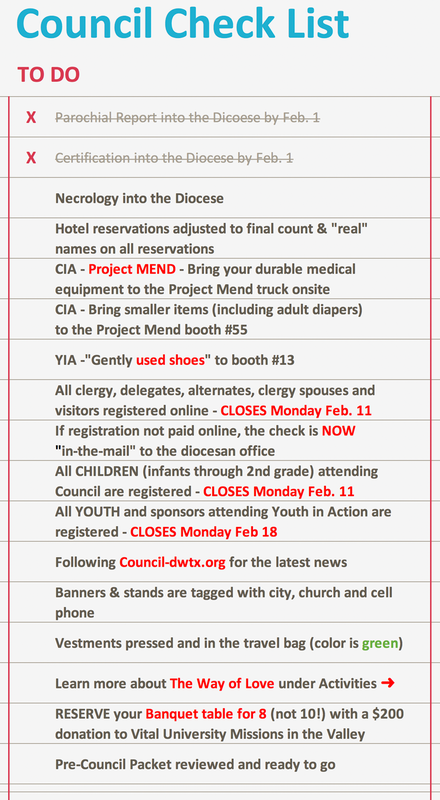 And while you are here visiting www.Council-dwtx.org take a minute to record your convocation’s January/February PreCouncil meeting date on your 2019 calendar. Click for PreCouncil page. 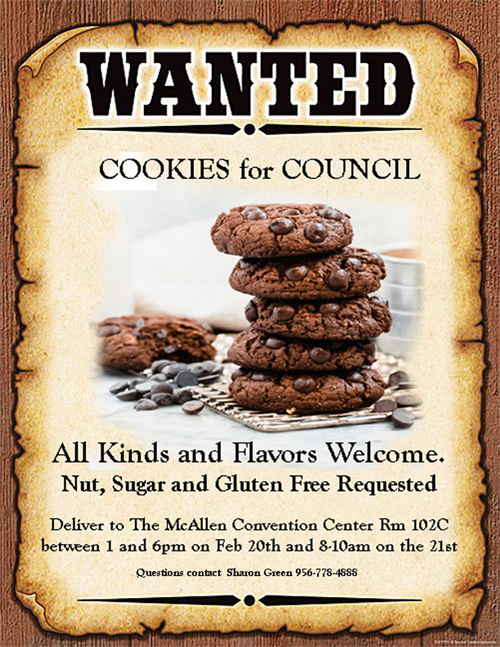 Council 2019 will be held Thursday, February 21 – Saturday, February 23, 2019 at the McAllen Convention Center. Since our last visit to the Valley in 2016, four hotels have been constructed on the convention center property, and are within easy walking distance to the convention center. In addition, the diocese has contracted with four other nearby hotels for additional rooms. This year’s diocesan attendees will have a variety of choices as to location, pricing, and amenities. To see all the details and contact information click here for the 2019 Hotels page.